Dragon Ball never really went away. Through re-releases, a thriving videogame series and the "remix" Dragon Ball Kai, Akira Toriyama's creation has never been far from the pop culture consciousness. 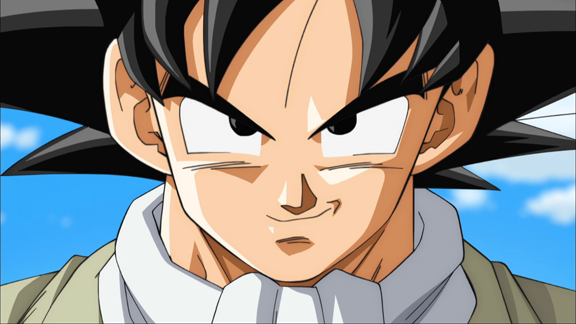 Following a pair of smash hit movies- Battle Of The Gods and Resurrection F, in 2015 the franchise went back to its routes with the TV series continuation Dragon Ball Super. Originally airing nearly two decades after Dragon Ball Z ended, Super picks up the action shortly after the defeat of Majin Buu. With the world seemingly now at peace (and largely oblivious to how close it came to destruction), Goku is seeking new ways to continue his training, while his old friend Bulma prepares to organise an incredibly lavish (and expensive) birthday party. It's not long though before a new (and bigger than ever) threat approaches that will push Goku to new heights of power. Although not directly adapted from Toriyama's manga, he did provide the story outline and created new characters- much as he did for the two recent movies. And much as with those movies Super is able to recapture what made the franchise some much fun in the first place, while bringing it up to date with modern animation. The only problem here is that if you have already seen the movies- which if you're a DBZ fan, you most likely have- the early part of Super makes the slightly baffling decision to retell the events of the films. 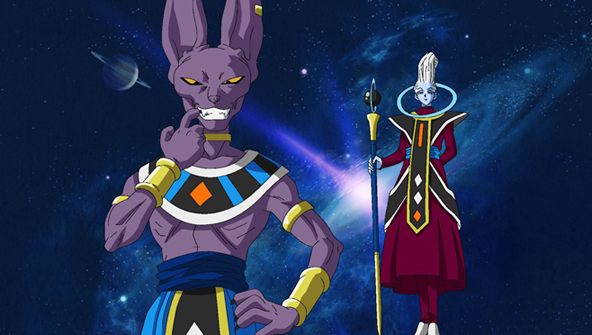 So the first arc is another take on the events of Battle Of Gods, and features the arrival on Earth of The God of Destruction Beerus and his right-hand man Whis. Whilst this is a little disappointing at first, the story itself remains highly watchable- and Beerus is a welcome addition to the cast. Expanding the events of a single movie to multiple episodes means that this is more than a mere retread, adding and expanding to create a more epic version of the familiar events. Beyond the main thrust of the story though, Super has the confidence to let loose with its characters. And it's in these lighter, more sit-com-ish moments that we find some of the highlights of the series. The sight of Vegeta transformed into a family man, trying to be a good Dad is both hilarious and heartwarming. 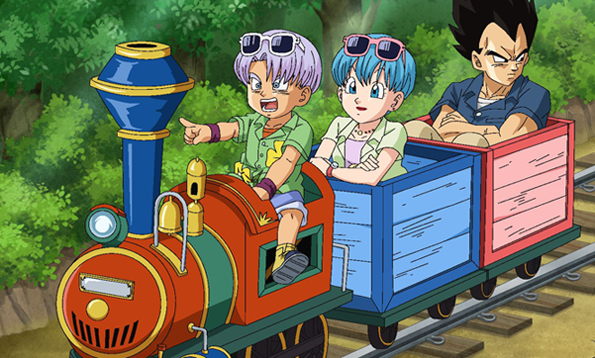 The episode Vegeta Take A Family Trip is a definite standout. It's a testament to the work done over the years to make us care about the characters of the Dragon Ball universe. One area the series can't quite live up to the movies is in terms of animation quality, but this is only to be expected. However, it still looks pretty great for the most part, and very recognisably still Dragon Ball. There's a few shots or sequences here and there where things start to look a bit wobbly, or characters are a bit off model, but they are few and far between. The chances are you'll be too entertained to even notice. But what if you have somehow managed never to have watched any Dragon Ball at all, and Super is your first ever brush with the franchise? Will you be totally lost? Well, in short- no, but you'll definitely get the most out of it if you are already a fan. Attempting to recapture the magic of a beloved series is always going to be something of a risk. Against the odds though, Dragon Ball Super pulls it off in every way you could hope for- right down to the dub, which sees the original cast return (as far as possible). The new show is off to one hell of a start.. and we can't wait to see where it goes next. IN A NUTSHELL: The King of Shonen anime is back, and better than ever.